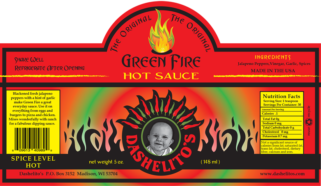 Dashelito’s Original Green Fire hot pepper sauce. 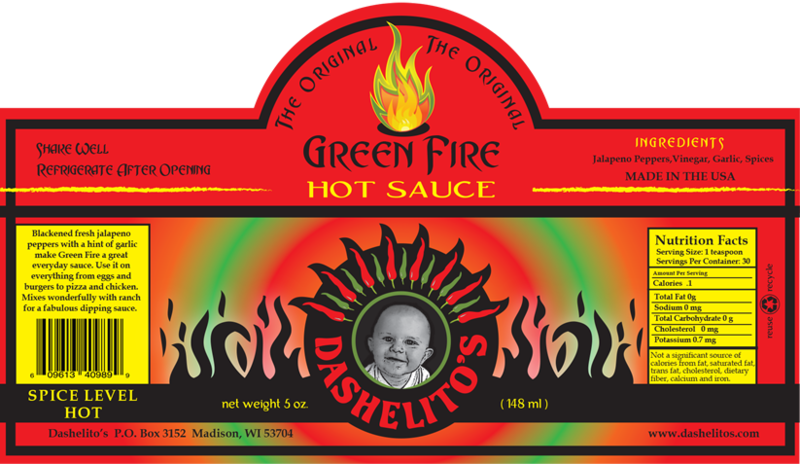 Our first product is made with blackened fresh jalapeno peppers with a hint of garlic make Green Fire a great everyday sauce. Use it on everything from eggs and burgers to pizza and chicken. Mixes wonderfully with ranch for a fabulous dipping sauce.